With all of our focus on social media, it may be hard to believe that there is a great opportunity for restaurant promotion from traditional marketing methods. Promoting yourself through a website or social media is absolutely essential for success, but traditional marketing is a great tried and true way to grab the attention of your local audience. Marketers suggest that 80% of the budget should be allocated to online marketing and the remaining 20% should be allocated to traditional marketing. 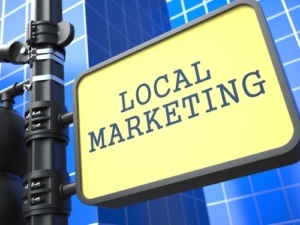 So what are the best ways to use traditional marketing to promote your restaurant? These partnerships can increase your brand awareness and further customer loyalty and trust. Some things to consider when determining which local partnership to select are: what are your goals, whom do you wish to reach, and what do you wish to achieve? When you decide also be in it for the long run. Make sure you pick a partner who is also in it for the long run and who has the same goals. A continuing partnership has a greater opportunity for real benefits. Some groups to partner with are local sports teams, schools and community groups, recycling efforts, or art and theater groups. You can support these community activities by providing monetary support or waiving fees for catering services. In return your restaurant receives free advertising which may include team jerseys, banners or signs to name some. 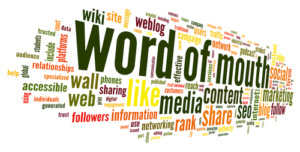 Word of mouth just may be more powerful than any other marketing technique. Our friends and our family members greatly influence where we dine. Never underestimate what a shining recommendation or a horrible review can do to a restaurant’s reputation. When recalling an experience people always remember something unique. As a restaurant owner you need to have a clear vision of the experience you wish your establishment to convey. A signature dish or an inviting atmosphere can conjure up the exact impression that will keep your restaurant memorable. Not everyone who is going to eat at your restaurant is a social media customer. There are definitely several types of print marketing that may work for your restaurant. Printed coupons are still feasible for the restaurant industry. Have coupons available offline in a local Valpak, a local paper or a coupon book. For local restaurants it is still important to have printed coupons available. These coupons are usually given out at the restaurant which will also give you the opportunity to impress the visitor with your customer service. Take out menus are a great consideration also. Not only are they a source for information but they also provide a great advertising tool. Having a take out menu of course helps your bottom line but that menu can also live on. It may make it to a customer’s menu drawer or maybe even the fridge. Promotional items may be your best print resource. Everyone loves to get something for free. Something as simple as a magnet with restaurant information or a keychain can have a life up to several months or more whereas a Facebook post will be seen once and most probably forgotten. So do not completely count out the worth of print marketing. Make sure to track any marketing that you use to see whether or not it is working for your establishment. Locate local newspaper, radio and television stations. Decide which outlet would reach your target demographic. Once you decide on a specific outlet to pursue contact the individual who would best promote your restaurant. Invite them in for a free meal and a review. If you are not convinced that calling upon the media is for you than another angle would be to host an event of newsworthiness. Get creative. Think beyond the usual golf outing. An idea would be a local chef cook-off. Enlist your staff to help create a perfect scenario to promote your establishment and gain media recognition. Probably the most obvious would be to promote holidays with different specials. This may be a good reason to advertise locally. Weekly hold a happy hour. Happy hours are a great way to introduce customers to your restaurant. Be sure to offer value based appetizers. Participate in restaurant week. People love to experiment with new restaurants during these weeks. Be sure to offer innovative menu options. Wine tastings or pairings are also a great way to get people through the door. Also with the rise of the craft beer industry, beer tastings and a great meal can bring in crowds during slow periods. Contests are another innovative way to keep customers engaged. Naming a new desert or a new craft beer and sandwich pairing are great examples. Offer a free dinner or promotional merchandize as prizes. Online marketing is by far where most of your marketing effort should lie but do not pass up local opportunities to promote your restaurant. Together they will ensure your success.